We will show you all our new achievements of oven dedicated to the Composite. So see you soon ! This 24th China International Composite Exhibition was a big success. More than 15,000 visitors have come. France Etuves, with its partners presented its range of ovens dedicated to composite materials and its latest model, the XC275. This oven of 275 liters only is equipped with : vacuum pump, 2 vacuum ports with quick connector for vacuum bags, 2 plugs for thermocouple product, and the powerful FRANCE ETUVES Oven control software FE3000 V4 on a laptop. This oven is intended for prototyping and also for the manufacture of small composite parts. The visitors met our specialists and they were able to discuss their projects together. Once again, the know-how and technology of France Etuves were appreciated. The company FRANCE ETUVES will be present at the 24th China international exhibition dedicated to composite materials from September 5 - September 7 2018. The exhibition is located at the Shanghai World Expo Exhibition & Convention Center (SWEECC). Our teams will be happy to meet you and show you our latest news. L’utilisation du bois comme source d’énergie est de plus en plus courante en France, avec trois principaux combustibles : le bois bûche, le bois déchiqueté et le granulé de bois. Pour assurer une parfaite combustion, les fournisseurs de combustibles doivent maitriser l’humidité présente dans le bois. La mesure de l’humidité sur les combustibles bois est encadrée par une norme internationale (norme ISO 18134) qui exige de réaliser les contrôles à l’aide d’une étuve ventilée. En France, il existe une démarche de certification nationale appelée Chaleur Bois Qualité Plus (CBQ+). Au travers de CBQ+, les producteurs et distributeurs de combustibles bois sont certifiés ISO 9001 pour la fourniture de bois énergie. Un cahier des charges, établi par CBQ+, impose aux entreprises de contrôler régulièrement l’humidité de leurs combustibles lors de la production avant que ceux-ci soient livrés aux clients. Pour accompagner les entreprises dans cette démarche de certification, CBQ+ s’appuie sur les compétences de différentes structures d’accompagnement : FIBOIS Ardèche Drôme, Pro-Forêt, Énergies 15 et ABIBOIS. Depuis 2014, plusieurs achats groupés portés par ces structures d’accompagnement pour le compte de CBQ+ ont été réalisés en partenariat exclusif avec FRANCE ETUVES. À ce jour, ce sont plus de 70 étuves qui ont été commandées et installées sur les différentes plateformes de production. « Ce qui nous plaît chez France Etuves, c’est d’une part, sa large gamme de modèle d’étuves ventilées permettant d’équiper les plateformes avec une étuve dimensionnée en fonction des volumes de bois livrés et que FRANCE ETUVES soit un fabricant français » précise Matthieu PETIT responsable bois énergie chez FIBOIS Ardèche Drôme. « La réactivité et le SAV faisaient partie également des critères de choix de notre fournisseur. Nous en sommes pleinement satisfaits et j’ai pu pour ma part tester le SAV, puisque j’ai été dépanné immédiatement lorsqu’un composant électronique de mon étuve était devenu défectueux » précise Alain TERRY, président de CBQ+. Grâce aux analyses d'humidité effectuées en interne par les entreprises, les stocks de combustibles bois sont contrôlés régulièrement au cours du process de production. Cela permet d'assurer la traçabilité des produits, de la fabrication à la livraison chez le client, garantissant ainsi un produit dont le taux d'humidité est conforme aux exigences techniques de la chaudière bois. Pour les entreprises certifiées au travers de CBQ+, l'étuve est devenue un outil de contrôle indispensable dans leurs procédures de fabrication. This year, the FRANCE ETUVES company will attend the JEC ASIA exhibition from November 1-3 2017 in Seoul. We hope to meeting you and discussing your oven projects for your composite materials. Our new vacuum ovens ranges XFL (up to 1mbar), XFM (up to 10-2mbar) and XFH (up to 10-6mbar) come from the unique know-how of our engineers, thanks to the specialized and expert processes developed in our products. Thus, you are sure to find the oven that perfectly meets your need. With vacuum ovens, you can work at pressures below atmospheric pressure. Vacuum ovens can heat products at low temperatures, with a degree of cleanliness reaching the level of molecules and atoms. They dry much faster than traditional ovens. Therefore, heat and oxygen sensitive materials such as powders, biological and food products, electronic components are processed efficiently with very short heating times. Your materials will be perfectly degassed. - A reinforced glass window installed on the door against the risk of implosion. All of these advantages make our vacuum ovens reliable, robust and user-friendly. We will be present at the "Salon du Vide et des Traitements des Matériaux SVTM 2017 on Tuesday 27th and Wednesday 28th June 2017 from 8.30am to 6pm at the Palais des Congrès ACROPOLIS in Nice (France). Stand 81. Come and discover our latest vacuum ovens and meet our experts who will help you for your projects. Find our products at the BOIS ENERGIE show in Limoges. Our XU universal ovens are particularly reliable, accurate and powerful, ideal for biomass testing on your wood samples. As every year, the FRANCE ETUVES company will attend the composite world exhibition near Paris (Paris Nord Villepinte Exhibition Center). Booth N56, Hall 6. From the 14th to the 16th March 2017. We are pleased to invite you to MIDEST MAROC, which will take place from December 14 to 17, 2016 in Casablanca, Morocco. Come meet us on our stand E30 on the France pavilion , to discover our ranges of ovens and to guide you in the choice of the product adapted to your needs. The FRANCE ETUVES company will attend the composite world exhibition near Paris (Paris Nord Villepinte Exhibition Center) from the 8th to the 10th March 2016. Booth A69, Hall 6. Meet us to share your projects with our experts who will guide you in choosing the oven adapted to your needs. The FRANCE ETUVES company was present at the Composites Meetings that took place on the 4th and 5th November 2015 at Nantes (France). For two days, our sales representatives had many appointments and exchanged views with composite users and suppliers. We are proud of finding ourselves more and more as a reference in the field of composite curing ovens. During this event, we had been solicited for many projects of large ovens in France and abroad. The know-how and the customized manufactures of the FRANCE ETUVES company are internationally recognized. XU universal ovens range: just try to adopt it! Our XU universal ovens are suited for all types of applications: drying, heating, heat preservation, sterilization, component ageing, hardening, thermal test…in the laboratories and all industrial sectors. The standard volumes are from 32L to 980L. These ovens are appreciated for their excellent performances. They can heat up to 300°C. The C3000 temperature controller ensures a perfect control precision. An efficient and optimized ventilation system speeds up the drying process and homogenizes heat in the working volume. A safety with visual and sound alarm protects your products against overheating. Many accessories and options are available. For more information, call +33 1 64 21 30 60. Prestodiag will be at the SECURFOOD business convention on 13-14 October 2015 at the Parc des Expositions in Avignon (France). For this occasion, this innovative company will present its new solution for detecting pathogenic bacterium after 7 to 16h during the primary enrichment. In this instance, Prestodiag has chosen to show its technology in a FRANCE ETUVES XU112 oven which meets the technical needs of their method thanks to its features and performances. For this company, this event is also an opportunity to participate to the Food Intelligence Trophy. We wish them a great success. The XL industrial ovens range is indispensable to all the industries because it is efficient for thermal treatment, polymerization, coating, drying, stabilization…up to 200°C (300°C as an option). Between the 8 standard volumes that we propose, choose the model that is the most compatible with your parts and your working pace. The inner sheets of the oven are made of corrosion-resistant stainless steel allowing you to treat all types of materials. Control is ensured by the C3000 temperature controller which is very accurate and ensures a thermal stability lower than tenths of a degree. Their ventilation system and the position of the heating elements guarantee the best possible homogeneity. Equipped with two independent safeties with visual alarm, your products will be perfectly protected. The insulation is optimized to reduce energy consumption. Discover our XL industrial ovens on our website and call +33 1 64 21 30 60 for more information. As its name suggests, the modular ovens XM range is ultra-modular; their size is adapted to the size of the product: from 6m3 up to 900m3 (our manufacturing record, but that may be broken by more important needs). They are especially adapted to thermal treatment, polymerization, coating and drying of composite parts. The basic XM oven is composed of a front double leaf door, a module and a back part. The whole volume of the oven depends on the number and on the size of the assembled modules. The manufacturing with modules reduces manufacturing costs, resulting in very affordable prices and makes easier the delivery and the installation of the oven. Thanks to their exclusive ventilation system and to their efficient heating system, our XM ovens guarantee an excellent thermal homogeneity. Each module is equipped with an air change system to evacuate polluted air and change air inside the oven. Each module has its own control system (probe and control device) to check constantly temperature and has its own safety systems for temperature and ventilation. The XM modular ovens are designed for an easy loading of your products without weight limit. Because your process is unique, your XM oven is too. We had already designed and manufactured XM modular ovens with many accessories and options in order to meet your most demanding requirements. Contact us for more information. The ovens of the XXL range are designed for all types of applications on all types of matters, for instance: polymerization or curing of composite materials, resins curing, rubber vulcanization, moulds or mechanical parts pre-heating, drying, polymers stabilization, degassing, curing, sintering, annealing, homogenization, tempering, sterilization, stabilization, heating of products packed in drums…up to 200°C (300°C as an option). The XXL large industrial ovens are designed for an easy loading of your products without weight limit. As a standard, the industrial XXL range is available in 9 volumes from 1m3 up to 15m3. These ovens guarantee an excellent homogeneity thanks to their design and to their exclusive ventilation system studied and designed by our engineers. The C3000 temperature controller ensures high control accuracy and an exceptional thermal stability for such volumes. It offers also many functions such as heating ramp setting, delayed start, heating timer, buzzer at the end of the cycle… Three safeties protect the oven and your products. FRANCE ETUVES manufacture customized large industrial ovens to meet your requirements. Do you want to treat large size parts confidently? The XXL industrial oven will do it safely. The cooled incubators are ideal for keeping products at low temperature. They are suitable for biology and microbiology medical laboratory and for quality controls in industries. We have recently redesigned this range so that it is more in keeping with your needs: much more ergonomic, the cooling system is integrated in the top part of the incubator to save space. The new easy-to-use controller offers accuracy and an excellent thermal stability from 0°C up to 60°C. The inner casing is made of stainless steel and the corners are rounded to make easier cleaning operations. The ventilation system allows an excellent air distribution in the working volume. An access port allows you to insert cables or control probes inside the oven. A safety with visual and sound alarm protects your products. All cooled incubators have many loading positions and are delivered with two shelves. Our technical service proposes you for France Etuves equipment or of any other brand subject to preliminary study: after-sales service, installation, control, repairs, renovation, cleaning, maintenance contracts, replacement of defective components, certified calibration of devices or measuring chains, homogeneity controls (according NFX 15-140 or AMS2750 standards)… We carry out these operations in our workshops or in your premises. FRANCE ETUVES, with its strong experience and with its diverse skills, accompanies you through every step of the life cycle of your equipment, allowing you to optimize the functioning of your laboratory or industry and to control your maintenance costs. Tel: +33 1 64 21 30 60. This range concerns also, for example, the drying of pipes, pieces of pottery…saving valuable time. Our XU ovens are ideal to determine the indicator of hygienic quality and the stability of food products over time and the hermetic seal of containers: stability controls at 32°C, 37°C or 55°C for several days will be perfectly completed. Foie gras producers, snails farmers, arboriculturists specialized in the production of apple juice…had tested their food products and containers and made their thermal, “routine” and “spot” tests with XU universal ovens. The XU universal ovens of FRANCE ETUVES, equipped with the PID C3000 controller and a temperature safety as standard, guarantee perfect control accuracy and stability that will ensure that your controls go well. In order to meet your specifications, we propose various accessories and options: temperature recorder, product probes, window, weekly digital timer, homogeneity control certificate… Contact us for more information; we will be pleased to inform you. During our first meeting in 2013 CISILE (China International Scientific Instrument and Laboratory Equipment Exhibition), the Philippine company Krypton Industrial Resources, Co (KIRC), has shown a great deal of interest in our products just after brief introduction of the XL and XXL lines. “This is exactly what I am looking for”, said Mr. Romel Albores, president of KIRC. “I will definitely contact your company when I go back”. In February 2014, Krypton Industrial Resources, Co, placed an order for one unit XU980 laboratory oven in such a short time notice. After the initial cooperation, this Filipino customer became fond of France Etuves due to our good quality and in time service. He placed orders for 3 units XXL04.5 within 4 months and 3 containers will be shipped to Philippines. Our sales team and Assemble department were thrilled to witness the moments when the container was being loaded in the factory. This is a millstone stage for France Etuves to set our feet on a newly exploded market. “Philippines are a very potential market for industrial ovens” commented by Mr. Romel Albores in CISILE, anticipating much more cooperation in the near future with France Etuves. Indeed, with the devalued currency, Southeast Asia has attracted a great deal of world capitals to set their factories in these lands, in which many industrial equipments are needed. “We are confident about the future”, said Mr. Philippe Lemble, CEO of France Etuves, showing determination to accelerate the pace of its expansion in Philippines by achieving more cooperation in the industrial oven areas. “I am excited to tell you that we have got the orders for 50 units XU112. This will be the biggest order for Thailand 12 years since this company was open”, said Mr. Yodchai Uawanapaksa, Sales Manager of SCILUTION CO., LTD, distributor in Thailand. Though it was spread through email, we can still feel his excitement. After offering eight solutions and months of communication, France Etuves is pleased by the news that this keen distributor’s continuous efforts would be paid in the end. In fact, in order to save his costs so as to increase his possibility of getting this order, we have custom-made many solutions such as carton packing in FCL (Full Container Load) instead of wooden packing in LCL (Less than Container Load), and also thoughtful recommendation for different combinations of models in one container. Think ahead of customers, serve behind after customers. France Etuves aims to provide the best support for distributors all over the world. As a result of our world-leading knowledge in offering heat process solution, we can custom-made any kind of industrial ovens with multi-options. In November, 2014, XXL04.5 was shipped to Thailand. This unit was equipped with controlled vacuum system and product thermocouples plugs, and with the FE3000 supervision software, the most powerful PC-based control system in France. According to customer’s request, we added U-shape tracks on the insulation floor in order to facilitate the insertion of the trolley. Now this end user’s over-sea factory is approaching for more orders. Flexibility and capacity is the key to France Etuves’ success. Demands for France Etuves are increasing by 10% each year in Thailand, sales figures shows. In Thailand, France Etuves products are under high exposure. They are seen in exhibitions, in websites, and even in WeChat, the most popular online chatting APP. “Is there any possibility to sell your products in Thailand? ” asked by a new customer, which is a common question that we will receive nowadays. “We will set up a good system to organize distributors and protect them from competition with each other” indicated by Dan Han, sales manager of France Etuves for Asia. In Beijing from the 27th to the 29th May, in this international exhibition on composite materials, FRANCE ETUVES will present its composite curing ovens range and documentaries on airflow modeling inside the ovens and on vacuum management for the manufacturing of composite parts in vacuum bags (molds...). FRANCE ETUVES will attend the international exhibition of the composite from 10 to 12 March 2015 - PARIS (Porte de versailles). Hall 7.3, Stand S26. ASKOTAMA is the exclusive reseller of the France Etuves brand in Indonesia. It participated in the Lab Indonesia exhibition that took place from the 7th to the 9th May in the Jakarta Convention Centre. This exhibition that is held once every two years in Indonesia, presents the products, equipments and services of the laboratory and permits exchanges between suppliers of equipments, manufacturers, institutions and universities. Askotama has endeavored to develop the France Etuves brand in Indonesia where the laboratory market is constantly evolving. FRANCE ETUVES and its Russian partner Carbon Studio were present at the Composite Expo exhibition in Moscow from the 25th to the 27th February 2014. It was the opportunity to highlight again the FRANCE ETUVES know-how on the ever-growing Russian composite market. Visitors were particularly impressed by the new design of the XXL industrial oven, perfect result of the adaptability, robustness and great accuracy that FRANCE ETUVES ovens offer. “In Vietnam, my customers like France Etuves very much. They are very pleased with the quality and design. The ovens are running well”, said by Mr. Cao Huu Hanh, sales manager of PHUC AN EQUIPMENT AND TECHNOLOGY COMPANY LIMITED, our most supportive partner in Vietnam. For the over past 2 years, France Etuves has attracted dramatic interest in Vietnamese lab market. You can see our laboratory ovens in bids, in the science research institute, at school lab center, and in the factories. Figures show that 100 ovens were sold to Vietnam before and we are still receiving more and more requests from our distributor. No doubt that France Etuves has received high compliments from Vietnamese end-users. Mr. Cao Huu Hanh, who placed the trial order for only one unit XU112 in 2012, found our laboratory ovens conduct excellent performance, thus came back for continuous orders. He is now a big fan of our XU-line, especially XU112. Recently, he was surprised to find that we have made our packing recyclable. It would be a great convenience for him because he can test our ovens in local and pack them again with the same wooden packing. This is what France Etuves’s dedicated into, catering for the needs of our customers, and changing everything to be more user-friendly. Thanks to his efforts at promoting France Etuves, together with the contribution from SECOVINA (another distributor), we have boosted remarkable sales in this newly-emerging market. We believe that, with France Etuves’ increasing popularity and competitive price, we will break more records in the coming days. Our next goal is to increase the sales proportion for our industrial ovens, such as XXL-Line large industrial ovens, XL-Line stainless steel oven, and XM-Line modular oven. Because your process is unique, your oven is too. The experience acquired in this sector allows us to offer you a wide range of options and accessories. They are adapted to your various processes of composite manufacturing: prepreg, RTM, infusion, filament wiring, honeycomb drying, mould preheating, injection of resin under vacuum in moulds, polymerization (under vacuum)…. Characteristics: oven from 6 up to 900 m3, designed in a modular format with a powerful CAO 3D software, 200°C as maximum temperature (300°C as an option), important air flow for an excellent temperature uniformity, great thermal accuracy, easy shipment of the modules in container. Possible compliance with aeronautics standards: AMS2750D, NADCAP. For example, the fluid flow study allows you to check the air circulation in the oven according to your products, check temperature homogeneity, estimate the time required for your process…, necessary before validating your process. Do not hesitate to consult our Design office. The France Etuves company has developed a software that allows the complete and secure control of your oven: the FE3000 oven supervision software. All parameters of your applications are manageable, viewable and saved. The use is intuitive: screentouch display, clear and logical structure, easy results’ reading and management. It is possible to control the oven and the parameters via the FE3000 supervision software from the touchscreen display (real time module). Date is saved in a database and available in real time from any plant computer system. For some years now, the FRANCE ETUVES company has developed supervision software allowing a complete and secure management of your oven. One of our programmers configures the software according to your oven: all parameters (air change, cooling, pumping, vacuum measurement, part temperature measurement…) specific to your application are manageable, viewable and saved. The software is provided on a large touchscreen display on an articulated arm and integrated into the electrical system of the oven; the position of the display is adjustable to the operator. The use of the FE3000 supervision is very intuitive; the software structure is clear and logical and allows simplified reading and monitoring of all parameters. It is possible to manage the oven and parameters via the FE3000 supervision software from the touchscreen display (real time module) or from a remote PC (management module). The software offers 2 levels of password security to fully control the access and assign a simple user (access limited to some functions) or administrator status to the operator. All data (temperature and vacuum set points and measurements, fan speeds, air change and cooling rates, histories…) are saved and exportable. The connection between the FE3000 supervision software and the remote PC is by LAN network. The following equipment is provided with the FE3000 supervision software option: touchscreen display, USB-RS485 cable, RS485 network for data capture/control. All devices (temperature, humidity controllers, frequency variators, input-output modules…) are connected to the RS485 network. Precision ovens and efficient, until 300°C, with rapid heating-up. Our XU universal ovens are all fan circulated models, for accuracy and minimum temperature spatial deviation. Our XU universal ovens are suitable for all applications for drying, heating, heat preservation, sterilization with hot air (Poupinel), component aging, curing or thermal tests in laboratories and in all branches industry, such as chemistry, electronics, ceramics, mechanics, medical sciences, agri-food…. The XU range is made up of 8 volumes: 32L, 58L, 112L, 225L, 343L, 490L, 686L and 980L. FRANCE ETUVES announces the victory of its American Football team “The Homies”. After a hard season, the team reached the semi-finals of the Ile-de-France championship. Our indoor football team, composed of employees, also defended with honor the colors of the company. FRANCE ETUVES company was present at the MAKS international aviation and space salon from 2013 August the 27th to 2013 September the 1st in Russia. This spectacular and interesting event was held in the town of aircraft science and technology, Zhukovsky, in the Gromov Flight Research Institute. This exhibition aimed to demonstrate the Russian high technologies and the priorities of the Soviet aviation and space markets to the world. Our target was to establish new contacts with the main protagonists of the space manufacturing and new contracts with the Russian space market, currently in full development. FRANCE ETUVES is able to propose an ovens range completely adapted to the applications of the composite, regardless of the size of the parts and of the required polymerization temperature. For example, FRANCE ETUVES manufactured the largest 200°C class curing oven, which has a volume of 900m3. This oven allowed to polymerize the hull and the deck of the monohull of the Groupama Sailing Team which won the last Volvo Ocean Race. For the ovens, many options (vacuum ports, product thermocouple, recording of data, management of the curing cycles by supervision software…) allow to enhance the basic oven and to deliver a turnkey complete device to all manufacturers of composite parts. We will be at the disposal of professionals in search of equipments adapted to composite materials manufacturing. Thanks to our “Research and Innovation” department, our design office will propose to you the best solutions. To meet the needs of major industrial groups, FRANCE ETUVES has developed an oven perfectly adapted to very long parts: the top loading oven. These ovens are used for instance in the petroleum industry for qualification testing of electronic equipments placed in drill pipes, in the wind energy and aeronautics industries for the polymerization of blades. The standard top loading oven is 4m long and has a 360L working volume. The maximum temperature is 200°C. The inner casing is made of corrosion resistant stainless steel in order to comply with all types of applications. The extremities are removable to connect end-to-end ovens of this type. The oven is on a robust frame with castors and high-adjustable feet to easily move and immobilize it levelled. The oven is equipped with a ventilation system where air is horizontally distributed to ensure temperature homogeneity along the entire length of the part. Glassware drying cabinets: THE RANGE EVOLVES! Perfect hot air distribution thanks to optimized ventilation. Practical side: the XAS800 model is equipped with castors. Energy savings: the XAS model is equipped with a handy temperature controller with delayed start. A 250 m3 oven is at present in service at a customer, main actor in aeronautics, to his satisfaction. FRANCE ETUVES will exhibit at the COMPOSITES EUROPE show in the Exhibition Center in Düsseldorf, Germany. The reference in terms of gently drying and degassing! Our vacuum ovens are used in plastics, resin, polymers domains for degassing operations or for a reliable drying without oxidation, while protecting the products (they are particularly adapted to lightweight samples, such as powders). The pressure lowering exerted on the surface of these materials allows to evacuate gas that they contain. Heating and pump down optimize this process that allows to weaken the embrittlement of the products. The XF vacuum ovens are also efficient for degassing various material. For instance, they allow a qualitative and quantitative analysis of gaseous substances ejected by the material after a heat stress. The FRANCE ETUVES vacuum ovens XF range are intended for all types of applications: drying, burning, impregnation, annealing, surface treatment…in rough and secondary vacuums. We adapt the vacuum system to the application. We propose various solid, quality and very practical options: digital display of pressure, display of the product temperature…. Our commercial services are at your disposal. Our XF Vacuum ovens are easy to use and have practical equipments necessary for vacuum. XF range is made up of 4 volumes: 20L, 50L, 120L and 240L. A performance until 10-6 mbar and maximum temperature only on our XF ovens. - Temperature time fluctuation: less than ±0,2°C. They are adapted for soft drying, thermal treatments, speed heating of powders, granulates, sensitive products...for pharmaceutical, cosmetics, plastic, electronic, chemical, agri-food...laboratories and industries. - stabilization of lightly contorted dental bridges. These furnaces can be equipped with a window on the door, an inner lighting, a temperature profiler. The convection principle allows an excellent homogeneity, a very good thermal accuracy and a quick temperature increase, key elements for a perfect curing and a good productivity of your investment. Each model has a temperature alarm, an inner casing made of stainless steel (outer casing made of stainless steel as an option) and several storage levels in order to use better inner space. With complete peace of mind, hoist on the beach the Pavillon Bleu, guarantee of an exemplary quality of environmental water. Our XB combine natural and forced convection and allow to work at different temperatures by providing an accurate incubation temperature. Our company, represented by its general manager Mr Lemblé and its sales manager Mr Wacquet, introduced itself to Russian manufacturers by taking part in the COMPOSITE EXPO show of Moscow from February 28th to March 1st 2012. Our representatives were on the stand of our Russian partner CARBON STUDIO, company specialized in the sale of supplies (resins, fibres, prepreg…) and equipments (ovens, autoclaves, injection machines…) for composite materials. The company CARBON STUDIO is established in Saint Petersburg and is the main leader on the Russian market in the composite field. We met customers common to our company and to our partner, which offer to us new projects mainly in the aeronautics field, and others in the nautics field. The performances of the XL range have again attracted attention of the field of drop-off centers for drying waste material. Orders are to remove humidity by heating at a constant temperature during 48H. The obtained result is very satisfactory. These ovens also prove themselves in the field of animal food. The drying of forage’s samples is carried out at a constant temperature to remove humidity. This application measures the dry matter from which the food quantity to give to the animals will be calculated. The conditions of execution of this application and the obtained results are very satisfactory. An easy use, a robust structure, efficient ventilation, a reliable accuracy and homogeneity are the main advantages of this range which declines from 125L to 1800L. Beyond, you will find the XXL range from 1000L to 24000L (stainless steel inside as option) with many available options. Easy to use, accurate and perfectly ventilated, universal ovens are necessary in the adhesive field, for instance, to do tests of adhesive cohesion or gluing of metallic parts in order to improve their internal strength or reinforce parts. Results are more than satisfactory. For instance, our universal ovens are used in the field of automobile for tests and warm-up on mechanical parts. Instructions are to subject parts the necessary structure transformations in order to improve their mechanical characteristics: hardness, ductility, limit of elasticity… Our ovens had perfectly taken up the challenge. The XU universal ovens range declines from 32 to 980L and owns many options, offering each need a suitable solution. Thanks to its experience, the company FRANCE ETUVES has been pointed out by manufacturers from Asian area with Singapore, Malaysia and Indonesia whose the lines of businesses are automobile, aeronautics, aviation and nautical. The French embassy also participated in this show by organizing a friendly party with its nationals and manufacturers of Singapore. News: a 125 m3 (125000L) high-performance oven! A work in process 250m3 (250000L) oven! This 125 m3 custom-made oven was designed for the polymerization at 180°C of composite parts for helicopters. Its inner dimensions are imposing: 4,4 m high and 8,4 m long. Its system of vertical lift door simplifies the loading, avoids the handling and clears floor space. The oven’s body is an assembly of 4 independent sections. The homogeneity performances in such volume are great: +/- 2°C at 250°C. As a result of the success of this new product, FRANCE ETUVES is now manufacturing an oven twice as big: 250m3, i.e. 250000L, 8 sections and 3 vertical lift doors (1 door at each extremity and 1 door inserted in its middle). We are happy to inform you that our middle east distributor will hold a booth in Arablab 2011 at Dubai! Their company name is SBT SPARKLE, you can meet them in the Sheik Saeed Hall on the Stand n°148. The exhibition will hold from the 7th to the 10th of March, at DUBAI, UAE. Don't hesitate to go to visit them to discover our XU universal ovens! France-Etuves has designed and manufactured a high temperature composite oven for the leader in aeronautics. Their application is the polymerization of a new generation of composite, curing at 420°C. This oven is again for France-Etuves a new technical achievement. In this volume of 34m3, we have an excellent homogeneity at high temperatures. We obtain ±1,3°C at 180°C and ±3,9°C at 420°C. This oven longer than 5 meters, is designed with 200mm insulation, a vacuum ramp, an interior light, manufactured with stainless steel SUS430. The vertical lift door lifts up to 6 meters high. The head of infrastructure concluded: "Congratulations to the team France-Etuves for his involvement in this project." France-Etuves is working since more than one year with an aeronautic chinese manufacturer. We are manufacturing for them a first very large industrial oven for their helicopter assembly line. This once again proves that the engineering department of France-Etuves is constant innovation. This oven for composite polymerization is about 120 cube meters, will heat until 250°C and it will be equipped with a vertical lift door up to 8 meters high. This first oven will be received during 2011 in China after a construction made entirely in France. The customer built military aircraft, airliners, helicopters but also jet engines. The smallest ovens of these lines are less deep in order to adjust at best to processes and products to dry. Less deep, the loading of these ovens is easier: the loaded volume / working volume ratio is optimized. They take up less space on the lab tables of laboratories and so the user takes advantage of more space and comfort. Offered at very attractive prices, try these new ovens! This week, France-Etuves manufactured the largest curing oven in Europe in the 200°C class. The exceptional size of this equipment, in this range of temperature (32.6 m long, 6.9 m wide and 4 m high, i.e. approximately 900m3) will enable MULTIPLAST SAS to offer its customers vast possibilities in the manufacturing of “out-of-autoclave” polymerized parts. The Groupama 4 monohull, destined to take part in the next “Volvo Ocean Race” round the world race, will be the first project to benefit from this equipment. In less than 30 minutes the curing oven, according to the production phases, can be positioned over the deck or hull. However, because of measurement rules, the curing temperature of this vessel shall not exceed 95°C. it will be ideal and useful in cosmetic laboratories and laundries. FRANCE ETUVES contributes to the development of composites materials by offering ovens adapted to this kind of material. 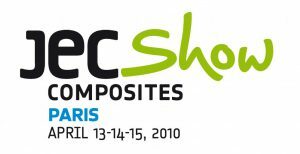 Being a major supplier of a lot of customers specialized in composites materials, its naturally that France Etuves will go to the international JEC COMPOSITES exhibition in paris on April 2010. Are you searching for an oven that allows you to polymerize very long composites parts (helicopter or windmill blades) or carry out the maintenance, the burn-in and qualification testing of down-hole electronic logging equipment for the petroleum industry? New volumes for the XXL line of FRANCE ETUVES. These new volumes expand from 1 000 L to 24 000 L.
From one to three metres wide, simple or double door, the plate is non-insulated to make easier the loading of your trucks. As an option, the plate may be insulated and the oven may be equipped with an access ramp. The exceptional hardiness and the extended service life of the XXL line are provided by its structure made of mechanically welded tube, its inner casing made of electro-galvanised sheet (stainless steel in option) and its outer casing made of sheet steel made finished in a tough stoved epoxy paint. FRANCE ETUVES manufactures custom-built XXL ovens thanks to its design office to satisfy your requirements. Characteristics: ovens from 12 à 80 m3, from 1 up to 8 sections designed with a powerful CAO 3D software, powerful internal air fan, 30 kW electrical heating elements, probe, controller, extractor fan... maximum temperature: 250°C (more in option), important air flow for an excellent uniformity, great thermal accuracy, shipment: 3 sections in 40”HQ container. On Tuesday, 6th October 2009 occurs the Forum International Classe Export in Paris. This event has as aim to remain hopeful and to avoid turning over “the bad figures of the French external trade”. The occurrence brought together about 3000 visitors with 277 international trade experts through a lot of business appointments, meetings, debates and experience sharing. In the evening, FRANCE-ETUVES has got the export trophy, category: under 5M€ of the sales. This reward gratifies the increase the export sales: +50% from 2007 to 2008 and the efficient activity of the company in Asia and the USA. “This is the example of a technical company which has won the trust of French great groups for contracts in France and abroad thanks its valuation”, says M. Hoffmeister, the founder of Classe Export. France Etuves starts up a complementary ovens line answering to the needs of the phamaceutical, cosmetic and food industries. These ovens, designed with two opposite doors, are emplaced in a airlock between the laundry and the clean room. The drying process is optimized because, after the washing, the conditioning equipment (as containers, mixers, tubings, pumps...) is directly taken charge in the clean room. The inside is made of stainless steel. The outside is made of stoved epoxy painted sheet steel or of brushed stainless steel. Drying is quick thanks to a powerful ventilation which may be adjusted. Two independent safety devices forbid heating if a failure occurs in the control system. They provide the protection of the oven and its loading.